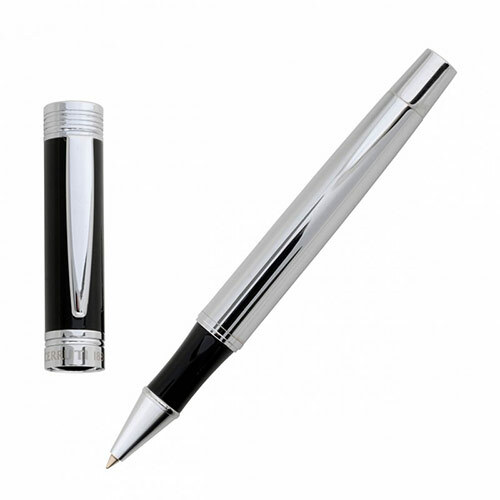 These stylish shiny black and silver plated rollerball pens are crafted by the designer brand Cerruti 1881. 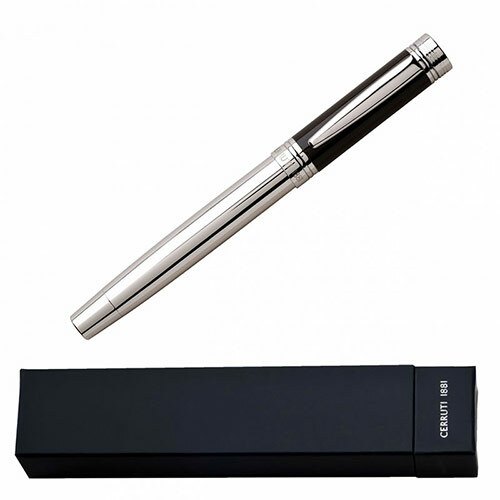 They are supplied complete with a Cerruti branded presentation case and make outstanding corporate gifts or luxury promotional products. 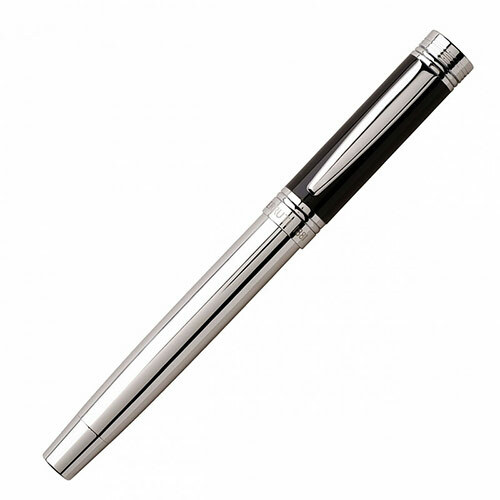 The pens can be customised by engraving on the silver plated body, and they are offered with free engraving of text and logos.